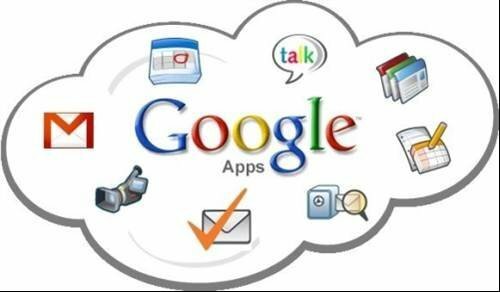 The decision by global HR firm Randstad, to migrate to Google from its on-premise Exchange and Lotus Notes servers should raise a few questions for CIOs considering the cloud. Randstad is a global firm which holds personal data, yet it has chosen to implement Google in the cloud over on-premise email. Lower running cost and flexibility are the main drivers to migrate. It does not make sense to host a server in a datacentre, when large service providers benefit from economies of scale that allow then to operate a global email system highly efficiently, with a high level of resilience. Hans Wanders, CIO at Randstad, expects cloud-based email will become the norm. However, it is not suitable for every business. Even at Randstad, which is planning a global roll-out, the operations in China will not have Google, due to government restrictions. And while Randstad has worked on a global contract, which overcomes many of the issues that local countries may face with personal data moving across borders, Wanders leaves the implementation to individual operating companies. No privacy legislation specifically deals with cloud computing. Organisations need to follow the letter of the law, but, this is near impossible. Europe is more unified but the EU Data Directive can be interpreted differently by the 27 member state. This is because the EU Data Protection Directive deals with the privacy of individuals. The organisation can use Model Contracts, which provide a set of terms and conditions that meet European data privacy requirements. Google, for instance, now offers Model Contracts for its European customers, along with ISO 27001. But, as Maughan explained, Model Contracts is not the whole story. He said French law talks about the need for a risk assessment and a privacy agreement to stipulate specific locations where French data can be stored. Maughan added that Denmark advised against deploying Google. They now require a certain level of encryption both for the transmission of data to and from the cloud service provider and in terms of encrypted storage. Gartner vice-president Carsten Casper urged IT directors to put pressure on providers to commit to the location of cloud datacentres (or even to change it), and ask under which conditions they will hand over personal information to law enforcement agencies and tax and financial auditors. Writing in the analyst’s European Businesses Are Only Slowly Overcoming Their Reluctance to Transfer Personal Data to the Cloud report, Casper recommended IT directed request that the cloud provider provide information on how data from different clients is separated. Data could be separated in different folders, different virtual machines or different database tables. “You don't want your information to be included when hackers or law enforcement agencies grab information from other cloud clients,” said Casper. He also suggested that data stored in the cloud could be obfuscated in some way. There is a sense that organisations risk having their data accessed by law enforcement agencies through legislation like RIPA in the UK and the US Patriot Act. Maughan says a lot of these fears are blown out of proportion. Nevertheless, CIOs should consider the impact of such legislation, when they are signing up with a cloud provider. “If you get your energy from a big European utility, you would not expect the US authorities getting hold of your energy usage,” said Maughan. From Google’s recently published Transparency Report, it would appear US government officials have a fast-track way to access cloud-based data without needing a court ruling. The report shows that 68% of the requests Google received from government entities in the US were through subpoenas. The lesson to take away from Randstad is that a global roll-out for a cloud email system is perhaps more a statement of intention. It must still deal with the fact that Google is not able to run within China. Randstad’s CIO oversees this strategy, but he has given each country the responsibility for implementation. This has effectively freed him from the challenges of working through the intricate data protection issues that Randstad may encounter in different countries. “As CIO, I will set a standard, and let local companies do their own roll-out,” Wanders explained. His strategy is rather like HSBC’s “Think global, act local” advertising campaign,”where a global businessman learns to fish from a local fisherman. The data privacy issues are not likely to go away any time soon.